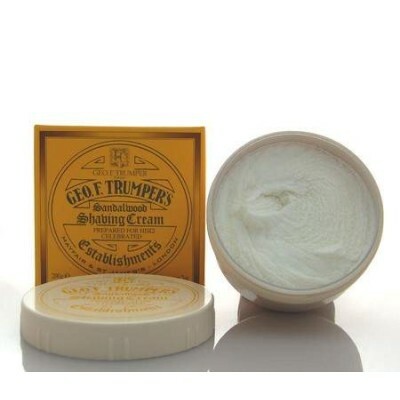 Geo F Trumper Sandalwood Shaving Cream 200g. Trumper's famous glycerine based Sandalwood soft shaving cream in a large 200g screw thread bowl. Lightly fragranced. Only a small amount is required for each shave to produce a luxurious lather. Suitable for sensitive skin. 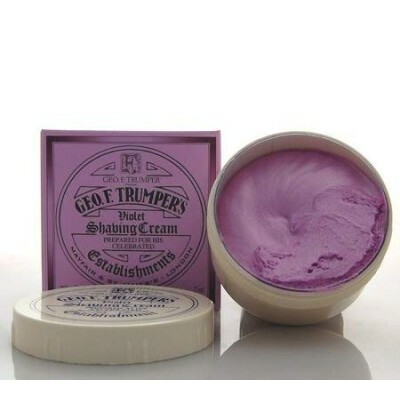 An excellent product from Trumper's which is not overpowering in perfume. One of the best there is; exceptional delivery service provided by the Traditional Shaving Co. Searched the internet for this and discovered it to be great value at the Traditional Shaving Co. Very quick delivery. Bloody good value and excellent delivery time !